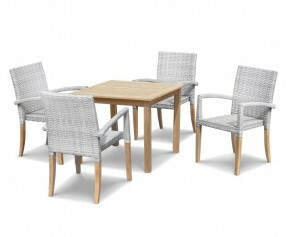 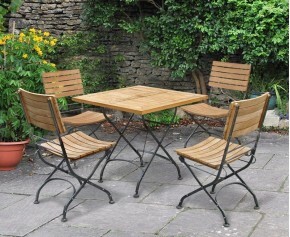 This teak garden table and bench set is exceptionally robust and hardwearing so it’s ideal for alfresco dining in commercial settings and busy households alike. Crafted from durable grade-A teak and galvanised steel, this teak Bistro dining set has been built to withstand the test of time and weather. 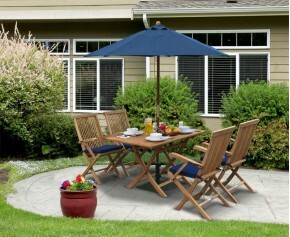 Conveniently low-maintenance, this rectangular Bistro table and 2 benches can be left outdoors all year round. 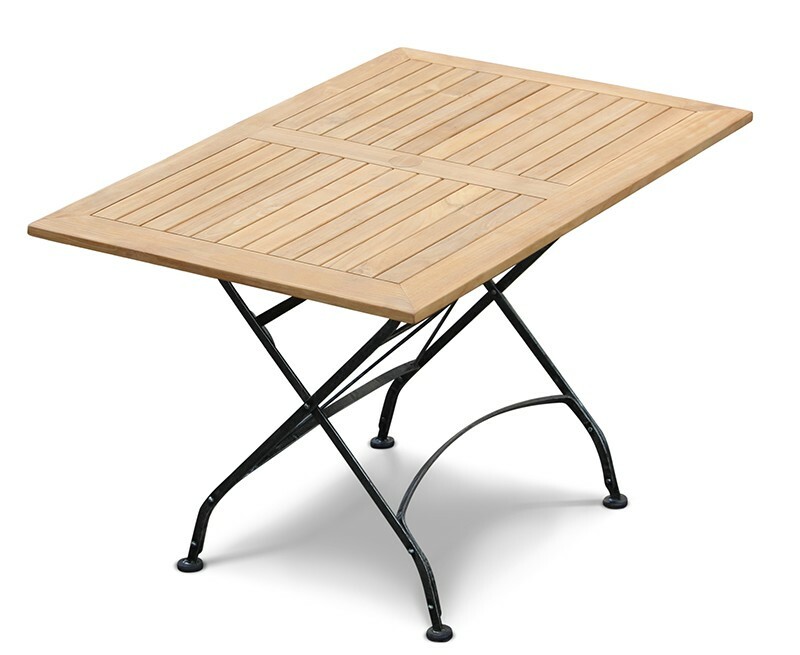 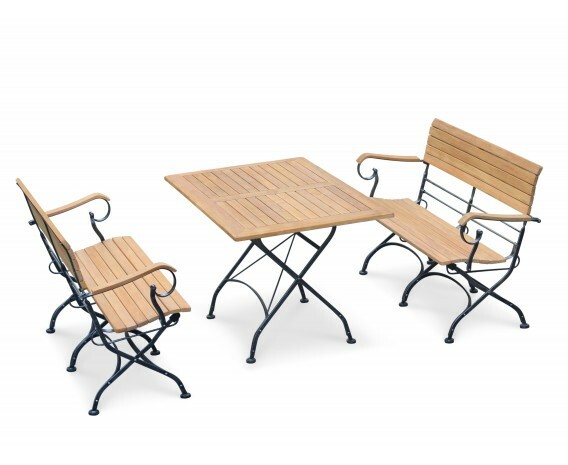 This teak Bistro dining set can be folded away and stored when not required, enabling you to reclaim your outdoor space when needed. 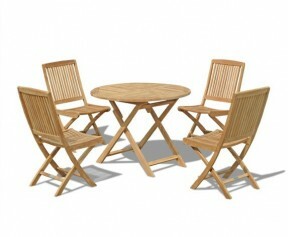 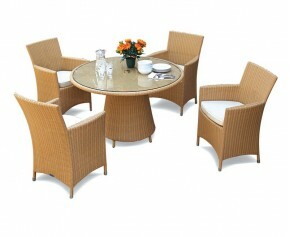 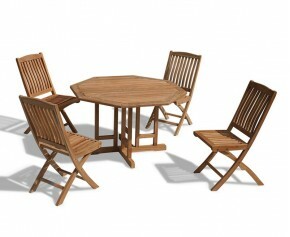 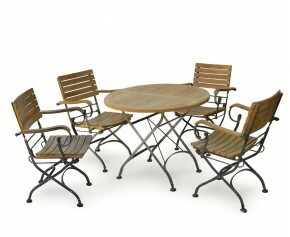 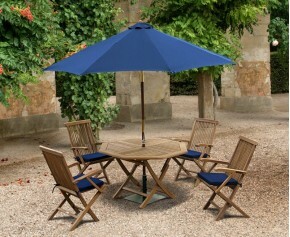 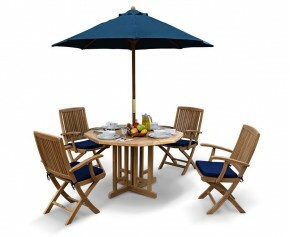 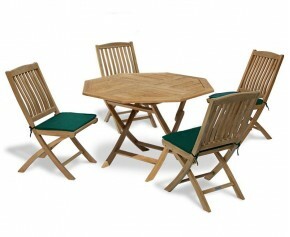 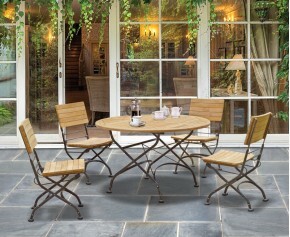 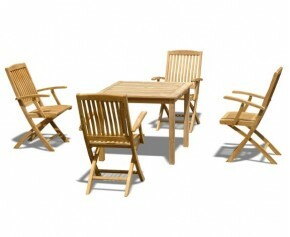 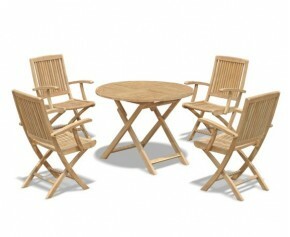 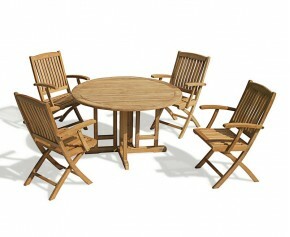 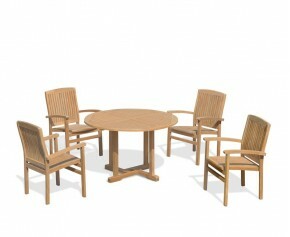 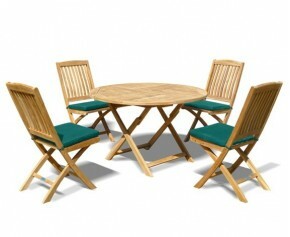 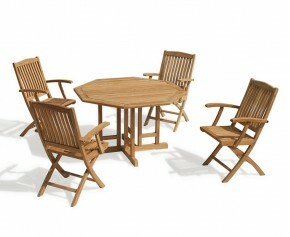 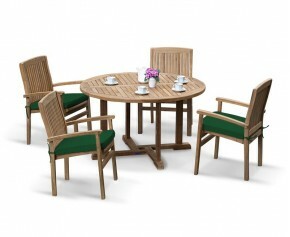 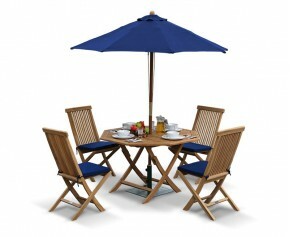 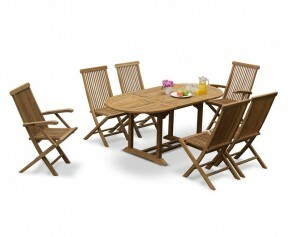 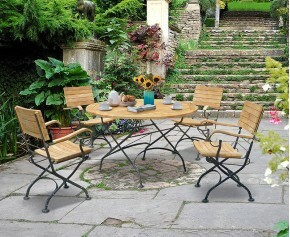 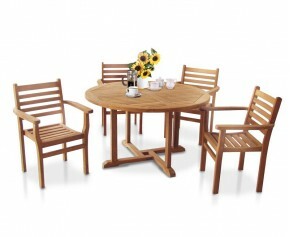 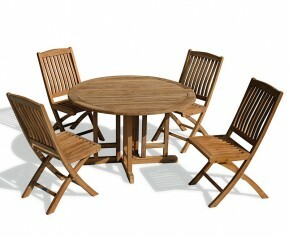 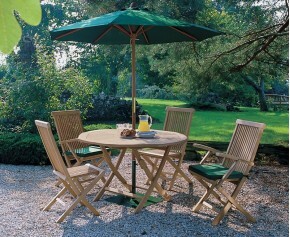 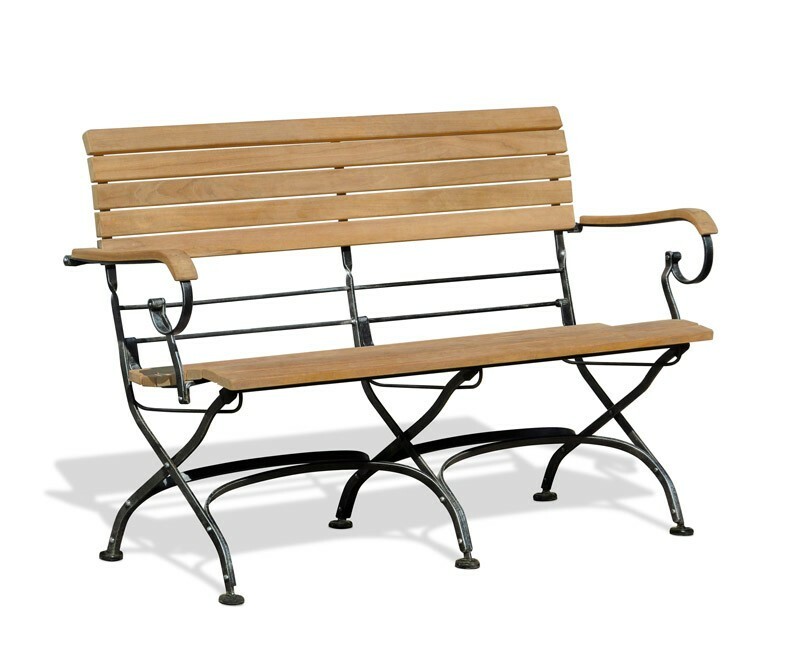 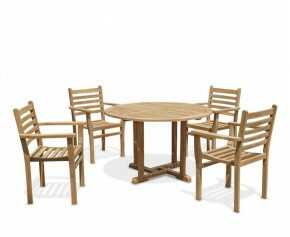 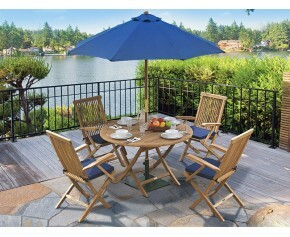 This Bistro table and benches set will be delivered pre-assembled for your enjoyment.